Under prior law, if you were itemizing your deductions, you could deduct qualifying mortgage interest for purchases of a home up to $1,000,000 plus an additional $100,000 for equity debt. The new tax reform appeared to eliminate the deduction for interest on a home equity line of credit (HELOC). There was much confusion amongst taxpayers and accountants alike. 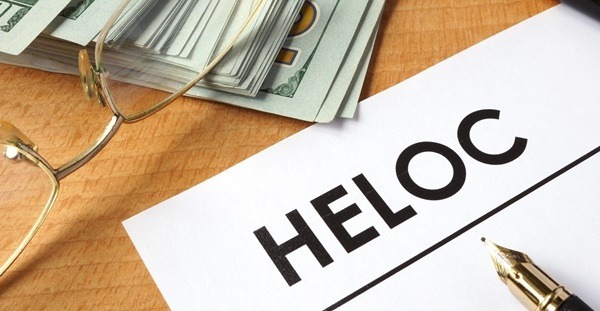 Can Interest on the Home Equity Line of Credit (HELOC) Still Be Deducted? “Despite newly-enacted restrictions on home mortgages, taxpayers can often still deduct interest on a home equity loan, home equity line of credit (HELOC) or second mortgage, regardless of how the loan is labelled. The Tax Cuts and Jobs Act of 2017, enacted Dec. 22, suspends from 2018 until 2026 the deduction for interest paid on home equity loans and lines of credit, unless they are used to buy, build or substantially improve the taxpayer’s home that secures the loan. The above means that, interest on a re-finance which is secured by your home (qualified residence) and which does not exceed the cost of your home and which is used to substantially improve your home will continue to be deductible so long as it meets the other criteria – like the new dollar limit, which is now set at $750,000. The limits apply to the combined amount of loans used to buy, build or substantially improve the taxpayer’s main home and second home. In conclusion, if you are using the refinance funds to make any home improvements such as a room addition, new roof or new kitchen, you could deduct the interest if you meet the required criteria. If you are using the funds for other reasons such as paying off credit card debt, the interest is not deductible. Last Word. Given that the new standard deduction for married filing joint is $24,000, many Americans may not even itemize their deductions. If this is your projected scenario you may want to consider paying off your HELOC or perhaps replacing it with a loan against your 401K. There are many financial considerations so be sure to consult with your tax advisor on all your options.